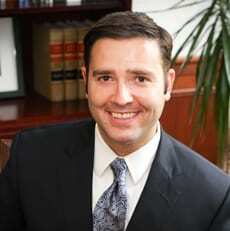 Jason Gagnon is a partner in Carmody’s Litigation Group and chair of the Products Liability Group. His practice focuses on commercial litigation with a particular emphasis on products liability, utility law, and employment law. Jason has extensive experience in advising clients in all aspects of products liability law, including substantial experience working with national and multi-national companies to develop an integrated system of best practices for avoiding and managing products liability claims covering a wide range of areas from product development and risk allocation in contracts to litigation and trial. Jason regularly trains management and executive level employees on best practices. Client’s often credit Jason’s knowledge and understanding of their businesses, employees and markets with facilitating the implementation of products liability prevention programs and litigation strategies while minimizing the disruption to their business operations. Jason’s clients include national and multinational manufacturers, public utilities, large and small employers, and financial institutions. He has represented a broad range of clients on matters alleging breach of contract, unfair trade practices, products liability, defamation, personal injury, and employment discrimination.